Street Talk Orchestra (STO) is among the most elite musical groups in the corporate/social marketplace. They are totally committed to flexibility, professionalism and class. As a result, Street Talk Orchestra has a 100% clientele satisfaction track record. Over dinner, the audience enjoys soothing music from soft jazz to James Taylor and Carole King. Once dinner is over, they’ll have the dance floor jam-packed until the very last song of the evening! 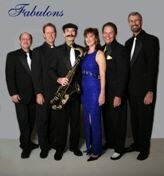 Celebrating their 24th Anniversary in 2009, The Fabulons continue to be Florida’s favorite party band. 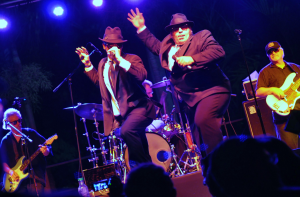 This Show/Dance/Variety band performs a wide array of music; including Motown, doo-wop, classic rock, disco, R&B, standards…and they take requests! The Vogues made their mark in the music world a long time ago and continue to marvel their audiences with their incredible, unique sound. 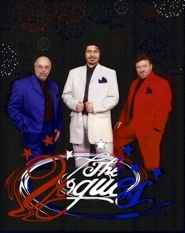 The Vogues maintain their modern day appeal performing all over the country and the world. They have started off with Rock & Roll and over the years have added additional sounds and talents, such as Country and Western and contemporary pop. The Vogues will prove that they truly live up to their name and reputation.